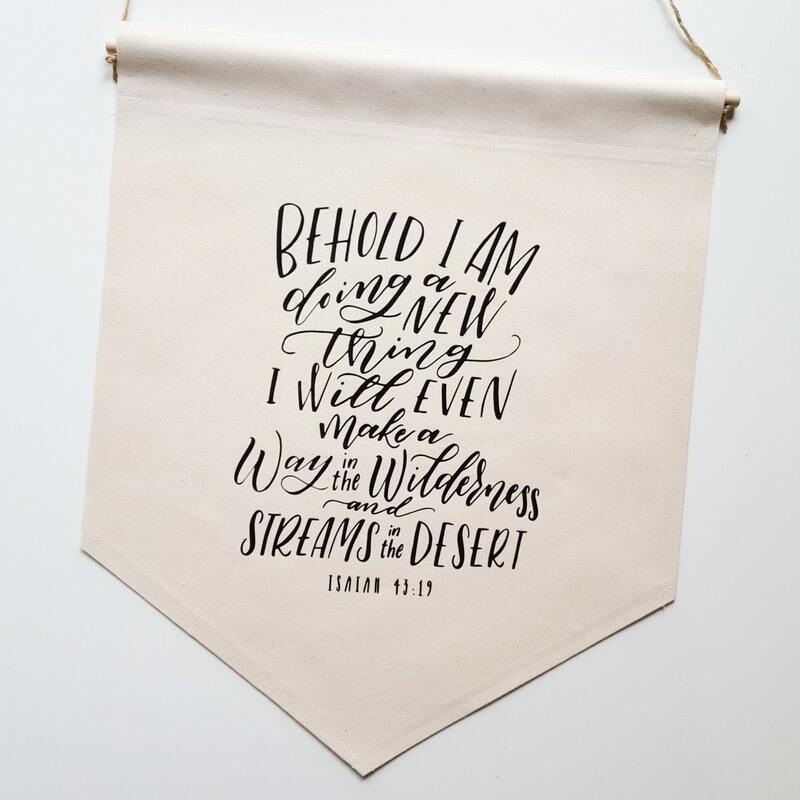 This listing is for one medium Jordanne Marie "Isaiah 43:19" hand lettered hanging wall banner. 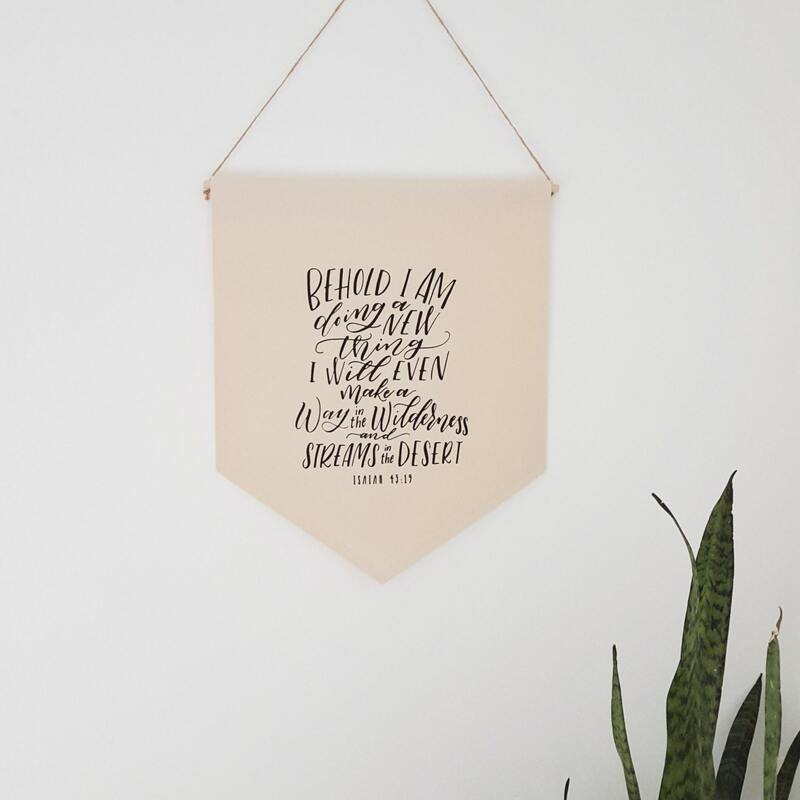 Quote reads "Behold I am doing a new thing. I will even make a way in the wilderness and streams in the desert." *** Hand lettered by the incredibly talented Jordanne Marie.